Since late August, the American Kidney Fund has provided $775,645 in disaster relief to more than 3,500 dialysis patients affected by hurricanes Harvey, Irma and Maria. We are deeply grateful for the response from individuals, foundations, associations and corporations who donated generously to help these patients! We concluded our Hurricanes Harvey and Irma Disaster Relief Program on November 17 after allocating a total of $740,945 to 3,390 patients in 6 states. We allocated 100% of all donations to disaster relief for the two storms. We are continuing to assist Puerto Rico patients impacted by Hurricane Maria until donor funds designated for that storm are depleted. We recently received a generous $100,000 grant from the Amgen Foundation to assist patients affected by Maria and are grateful that this grant will allow us to help individuals in desperate need. Thousands of Americans on dialysis are just not able to get the treatment they need to survive. Patients with chronic kidney disease often face difficult challenges. They turn to the American Kidney Fund as their last hope. Together, we can make sure that kidney patients can sleep at night and face each day with strength and confidence - click below to give. One hundred percent of donations to our Disaster Relief Program were used to assist dialysis patients affected by the hurricanes. Thanks to generous contributions from individuals, foundations, associations and corporations, AKF's Disaster Relief Program was able to quickly provide emergency grants to patients. 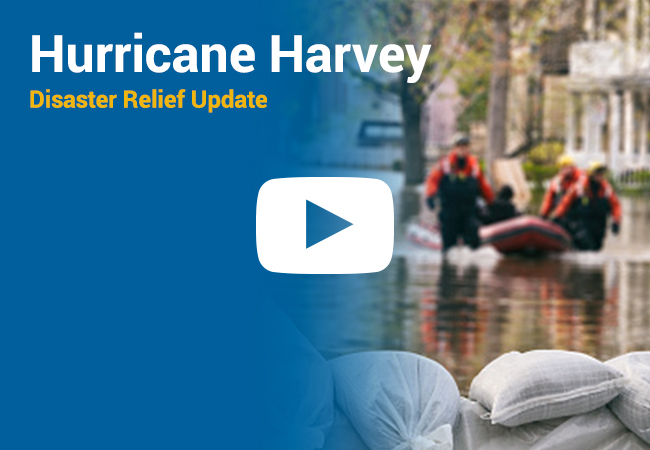 See a full list of our disaster relief corporate partners. Even before a hurricane strikes, dialysis social workers work overtime to help their patients prepare. Read more. StatusPR is a website operated by the government of Puerto Rico that provides updated information on key aspects of the island’s infrastructure recovery after Hurricane Maria. AKF staff members Mike and Dan provide the latest on the situation for dialysis patients in Puerto Rico. A week after Hurricane Maria slammed into the U.S. territory of Puerto Rico as a Category 5 storm, the 5,600 Americans on the island who depend on dialysis are facing a life-threatening crisis. Read more. Thanks to generous contributions from individuals, foundations, associations and corporations, AKF's Disaster Relief Program is able to quickly provide emergency grants to patients affected by the recent hurricanes. Download this infographic and see how you've helped. American Kidney Fund ready to help Puerto Rico dialysis patients while continuing to assist patients affected by Harvey and Irma. Read more. Download an infographic and see how emergency grants are being used to help dialysis patients affected by recent hurricanes. We sat down with Ariel Brigham in Houston to talk about her experience after Hurricane Harvey flooded vast parts of Houston and coastal Texas. The American Kidney Fund's Disaster Relief Program is a rapid-response system that provides emergency assistance to dialysis patients when disaster strikes. Read how our grants help patients. Why help dialysis patients during natural disasters? Millions of people have been affected . . . and among them are thousands of dialysis patients for whom a natural disaster like this is quite literally a matter of life and death. Learn how you can help. We have a quick update on how your donations are helping hundreds of dialysis patients who lost everything in Harvey. We’re preparing to provide Irma relief, as well. For dialysis patients, a natural disaster like that unfolding along the Gulf Coast is truly a matter of life and death. More than 12,000 dialysis patients—more than a quarter of all dialysis patients in Texas—live in the region affected by Hurricane Harvey, and as the storm moves into Louisiana, even more patients will be affected.